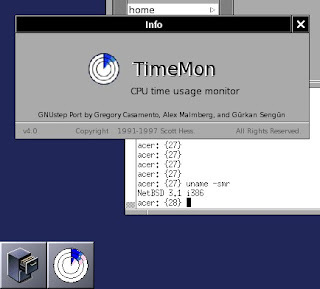 TimeMon, the CPU monitoring application popular on OpenStep runs now on NetBSD too. I added the necessary code to the GNUstep port, which is found inside the GAP project . No, I didn't add myself to the list of the porters. Not yet.